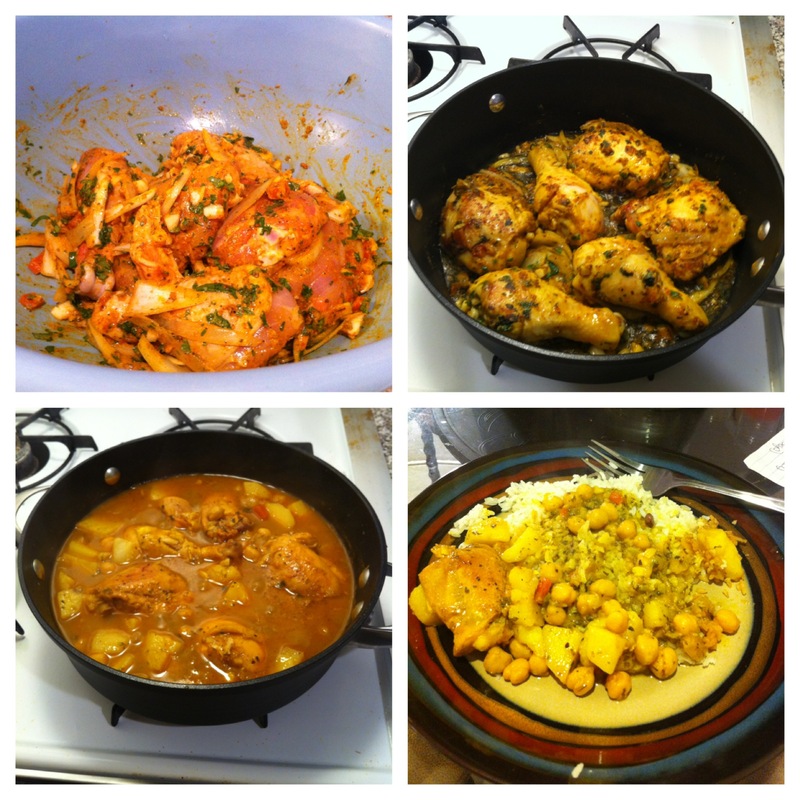 If you’ve never had curry chicken then now is the time to change that! 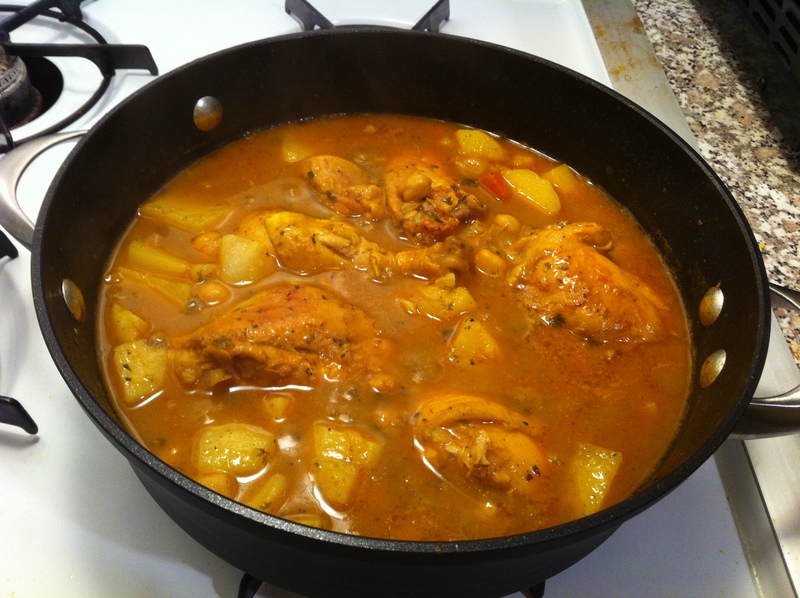 I love curry chicken—it’s a West Indian favorite. 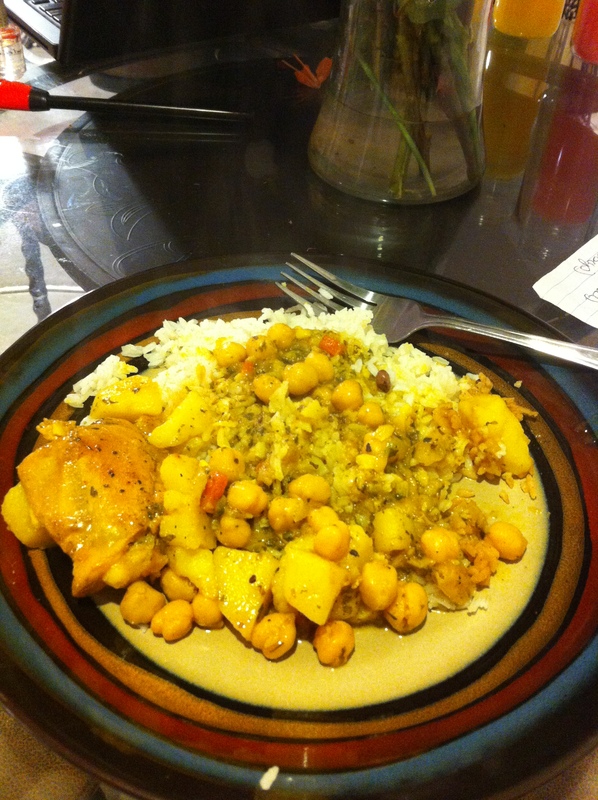 By best friend is from Trinidad and Tobago and I’ve been eating Grandma Lorna’s curry for years! Below is my twist on a household favorite. 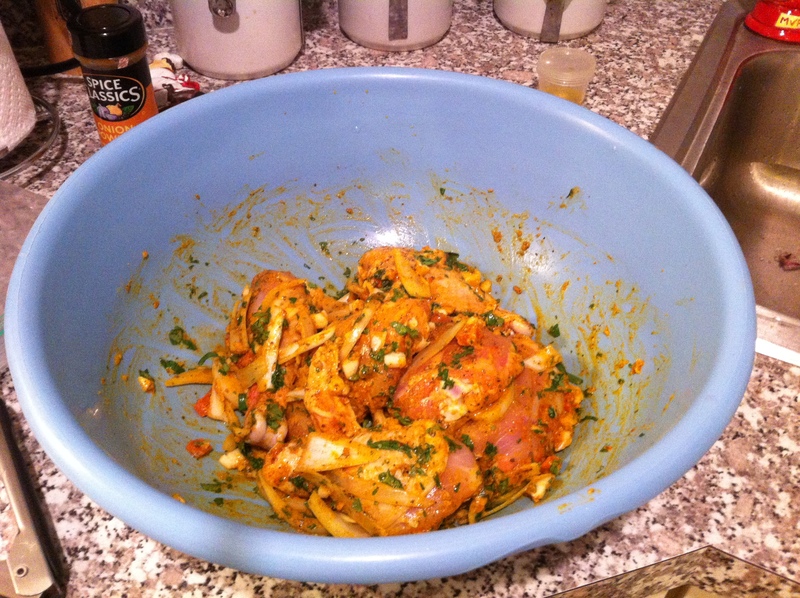 Feel free to try it and tweak it… careful, this is a spicy one! 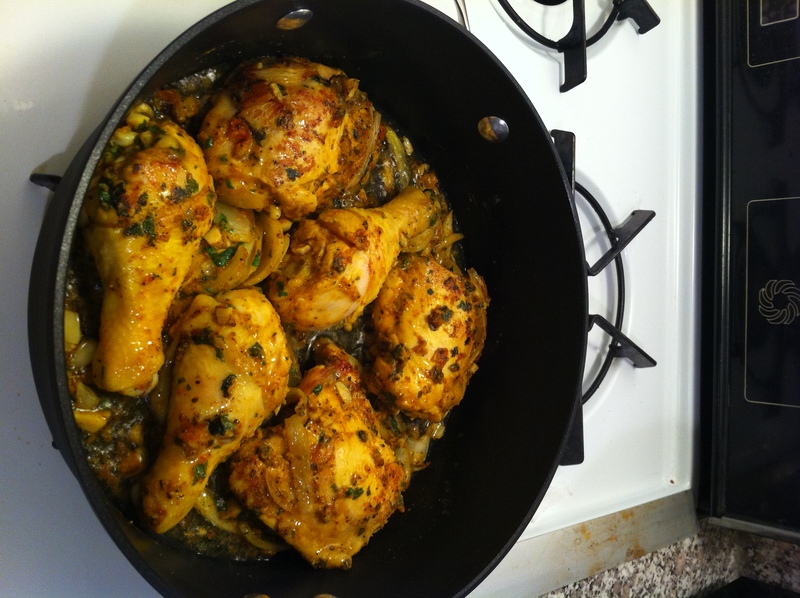 – Chicken thighs and drumsticks (depending on the meat market, they may sell packs of chicken labeled “chicken for curry stew.” If not, a diced whole chicken or mixed back with thighs and drumsticks will do) I always cook about 2lbs of chicken. 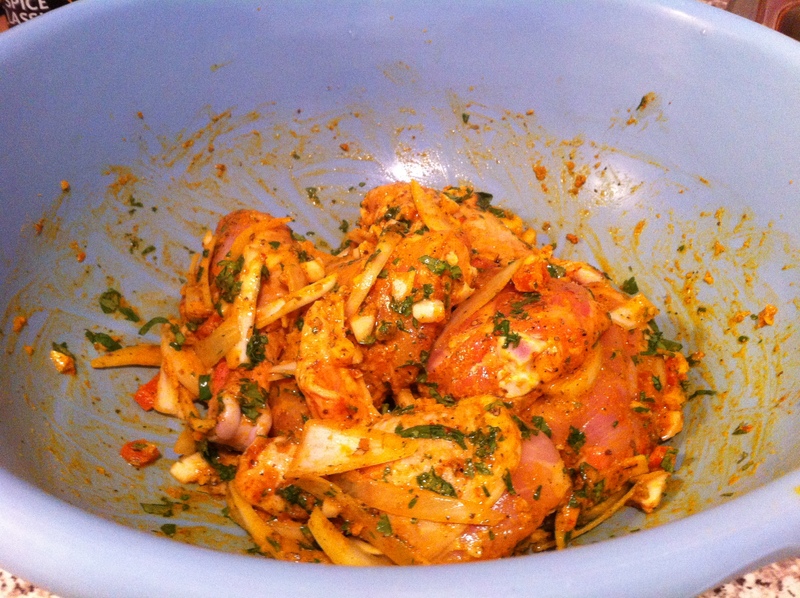 Clean your chicken with water, vinegar and lime juice (1 lime) removing the skin from the chicken thighs and place chicken in a mixing bowl. Dice one onion, one whole head of garlic, and bonnet pepper. Add it to your mixing bowl. **careful with the bonnet pepper. It’s EXTREMELY spicy. 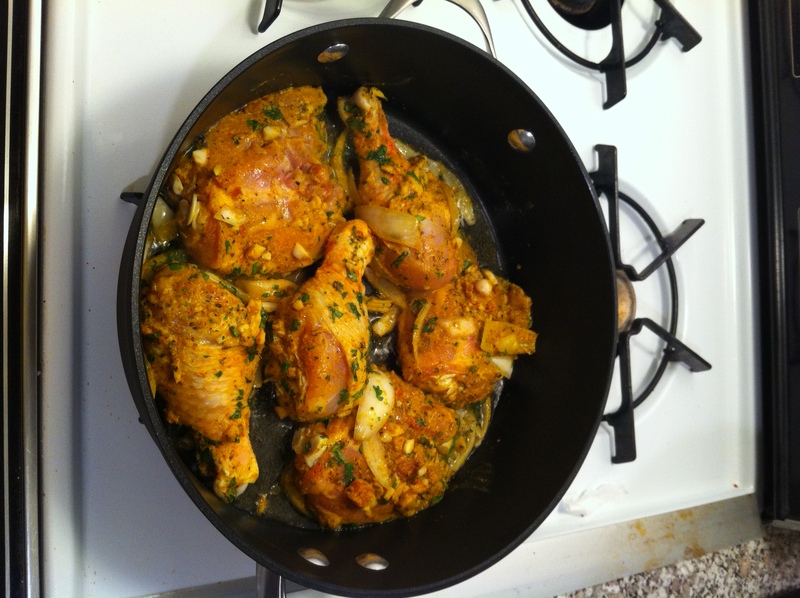 Use pre-made Trinidadian pepper sauce if you have it, cayenne pepper, or your favorite hot sauce. In a medium sauce pan heat oil. Stir and taste your broth—add more salt if needed. 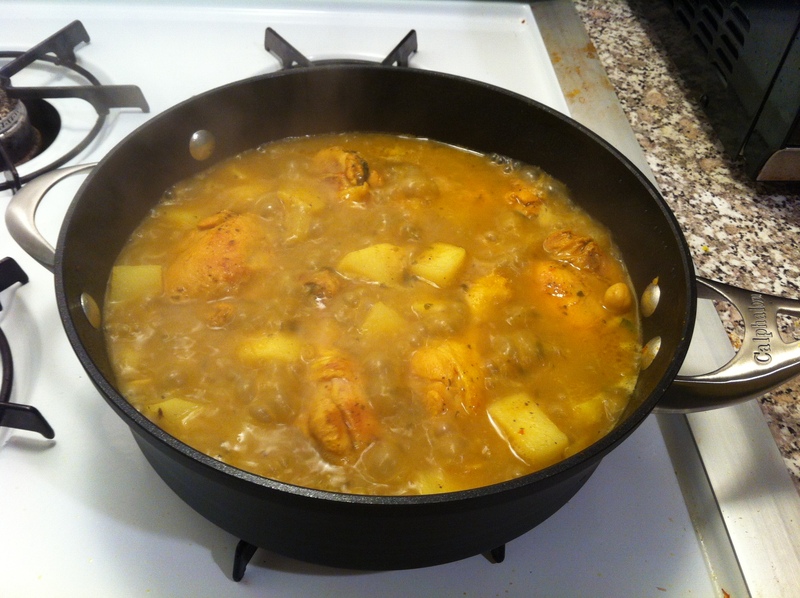 Continue to simmer until the chicken is fully cooked (A good way to tell is if the meat is falling off the bones and if the juices flowing from the chicken are clear).